Get ready to roll with Monster Trucks! Gear up for roaring, action-packed race battles against the meanest Monster Trucks you’ve ever seen! They’re waiting for you at the Mad Truck Challenge starting line. Strap up for a relentless racing simulator that will have your adrenaline pumping. Select your truck, armed with rockets, and race against the toughest off-road drivers on the planet. Crush and blast your way to victory while you perform extreme stunts and make your opponents bite the dust to earn the coveted MTC trophy. Beef Up Your Beast! Put the pedal to the metal and complete mad missions in this mayhem-filled 2D driving game. Upgrade your truck with nitro boosters and missile launchers, and collect power-ups while you race your way to the top of the leaderboard. Collect coins to pimp your ride with wicked decals, insane paint jobs and crazy hood ornaments to strike fear into the hearts of your opponents. Fearsome Features:- Blast your opponents out of the race- Race through 60+ wild levels in ancient Egypt, Antarctica and beyond!- Engage in epic boss fights- Upgrade and customize your monster truck! – Enhance your weapons to rack up maximum kills in each race- Earn prizes with the Wheel of Fortune.- Experience awesome 2D graphics- Enjoy the mad mayhem on- or offline on your smartphone or tablet: no wi-fi needed! 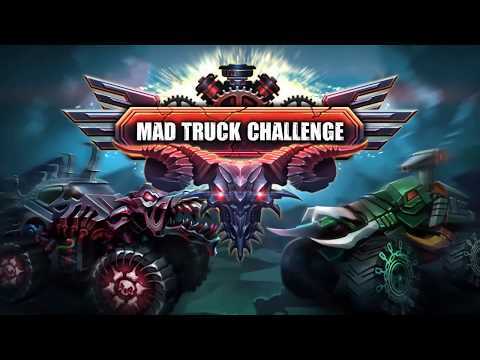 Take your mad truck to the max in this fast and furious racing game!